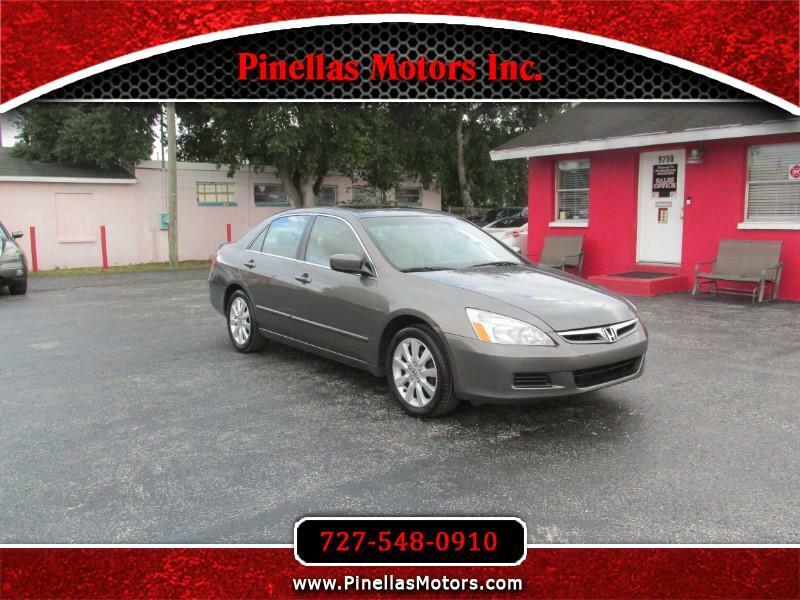 Used 2007 Honda Accord EX-L V-6 Sedan AT for Sale in Pinellas Park FL 33781 Pinellas Motors Inc.
Come check out this beautiful sleek 07 Accord EX-L! Upgrades include leather, sunroof, and hints of wood grain. Come down and test drive and you won't be disappointed in the smooth luxurious ride. Call us to inquire about finance options!